Coworking spaces aren’t cheap. However, they can be worth the pretty penny you have to pay to join one. What’s a couple hundred bucks a month if it means you’re making twenty times that amount when nestled in a productive coworking space? While working remotely might be accommodating for everybody, working from home isn’t always as plausible. 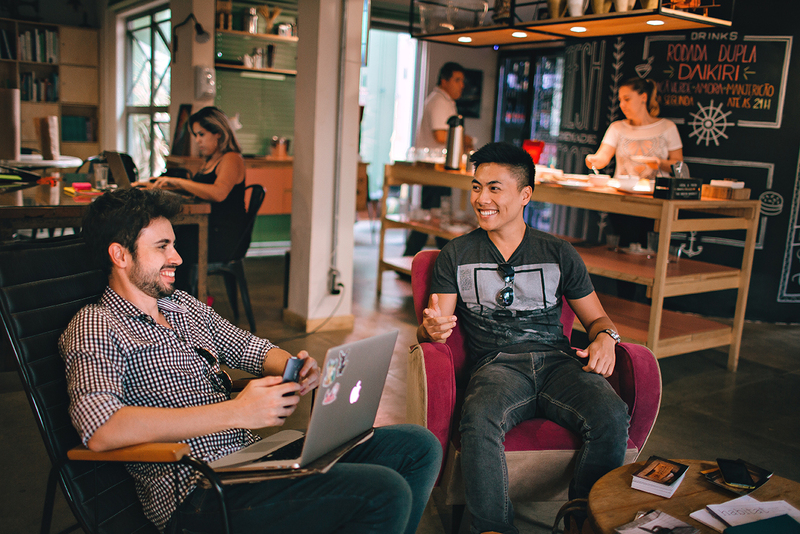 If you’re deciding whether or not you should invest in a coworking space, start thinking about all of the factors below. (And if it is for you? Be sure to check out our top picks for the best coworking spaces across the globe!). First things first: where do you work when you’re at home? Having a home office doesn’t have to mean a private room, but it should mean a dedicated space for you to set up shop and work. We’re not talking about your couch and TV tray combo or the patio table. Every remote worker should make sure that they have a desk where they can safely keep their work supplies and spend any day of the week putting their nose to the grindstone. If you have roommates, this may be tricky. If you have kids, ditto. Impossible? Of course not. However, if you do struggle with maintaining a home office that is solely dedicated to you and your work, then investing in a coworking space may not be a bad idea. How productive are you when you’re alone? Some people thrive with silence. Others go stir crazy. Figure out what kind of worker you are and go from there. If you need quiet to be productive, then a coworking space may be a little too rowdy for you. Or, at the very least, you’ll want to be sure to choose a coworking space that regulates the noise level. On the flip side, if you can’t seem to get anything done when you’re alone, signing up for a coworking space may be a perfect solution. Some people need to be surrounded by productivity to be productive themselves. If this is you, a coworking space will provide the ideal environment. Similarly to the previous question, you will want to gauge how distracted you feel when in a bustling environment. For a test run, try going to a cafe with your laptop. Are you people watching? Or are you typing? Assess the way you react to working in a space where others are doing different things from you. Depending on how easily you’re able to ignore distractions, you’ll know whether or not a coworking space is right for you. Just about any job can be remote, but that does not mean that every remote job can be easily performed in a coworking space. For example, is most of your work time spent making client calls? If so, it may be better to work from the quiet of your own home (unless you can find a coworking space with private call rooms). If most of your communication is done via a computer, then almost any coworking space should be able to easily accomodate you. Most importantly, you don’t want to sign up for a coworking space until you know that your budget can handle it. If you do have a budget that allows you to invest in a coworking space membership, don’t jump the gun on anything. Instead, shop around. Coworking spaces come in all different shapes, sizes, and of course, prices. Find one that works for your wallet (and that provides all the amenities you’re looking for in a coworking space). If you’ve found a coworking space that you’d like to become a member of, ask to try out the space for a few days. Most coworking spaces should be open to this, and you can get a feel for the people and energy-level of the office before committing.